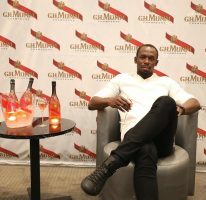 16th September 2015 – Back in the island after his triple gold medal – winning performance at the IAAF World Championships in Beijing, China, Jamaican sprinter Usain Bolt has come to the aid of his alma mater’s sports programme with a donation of $1.3 million plus sporting equipment and supplies. 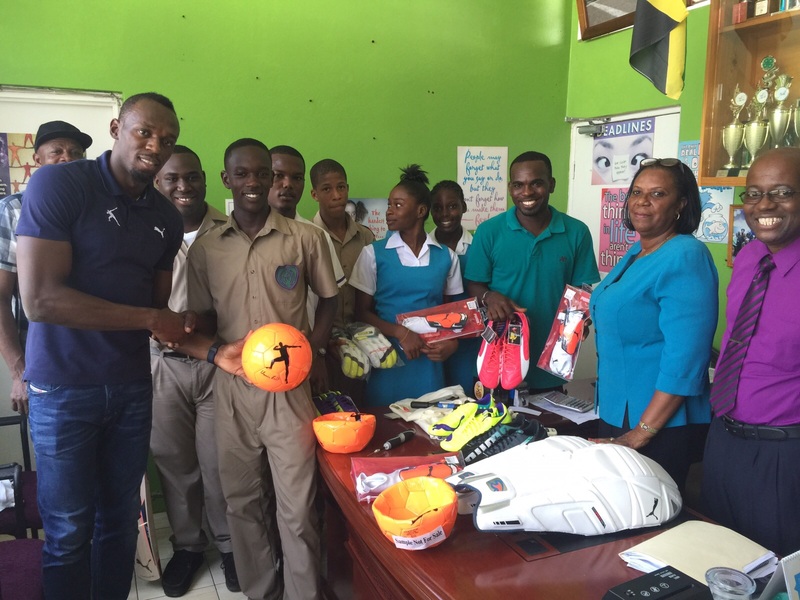 The world 100m and 200m record holder jumped to the assistance of William Knibb Memorial High School after a number of its sports programmes were threatened due to financial constraints, adding 50 pairs of football boots, shin guards, 50 Usain Bolt-branded football and bibs to assist in their current Inter Secondary School Sports Association (ISSA)/FLOW DaCosta Cup campaign. 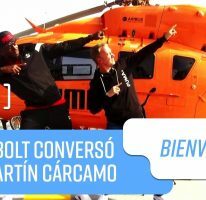 Bolt also donated cricket gears including bats, pads, clothing, gloves and balls, to assist in the school’s Headley Cup cricket season, while the track and field team, has been receiving a yearly supply of gears from Bolt’s sponsor PUMA since 2002, when he was signed to the company. That arrangement was also secured upon the sprinter’s request. 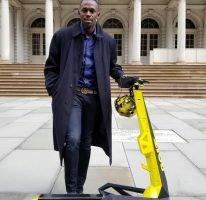 “William Knibb played an integral role in the athlete that I am today so any time they call; or anything I can do to give back, I am more than happy,” said Bolt.